India will generate 75% of its total electricity from renewable energy by 2050, according to a new report from Bloomberg New Energy Finance (BNEF). Of this percentage solar energy would contribute 34% and wind power would supply 32%, with the two forms of renewable energy set to rise to 50% of the world’s electricity generation by 2050. The Bloomberg New Energy Outlook 2018 report stated that the advent of cheaper batteries would enable electricity to be stored and discharged to meet shift in demand and supply. “We project that cheap renewable energy and batteries would reshape the entire electricity system. Looking ahead, we see new power generation assets growing, the cost of wind energy to come down significantly and renewables to supply 62% electricity in China and 75% net in India by 2050,” said Shantanu Jaiswal, head of India research, BNEF. 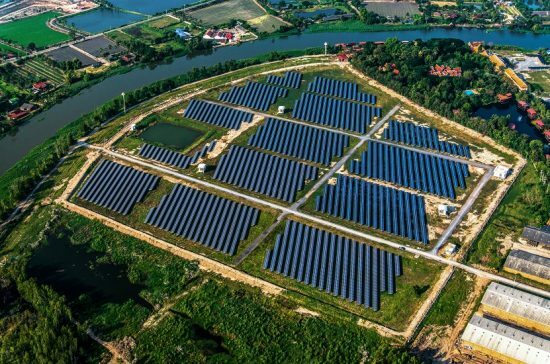 The report projects US$11.5 trillion being invested in new power generation capacity around the world between 2018 and 2050, with $8.4 trillion of that going to wind and solar. “This investment would produce a 17-fold increase in solar photovoltaic (PV) capacity worldwide, and a six-fold increase in wind power capacity.